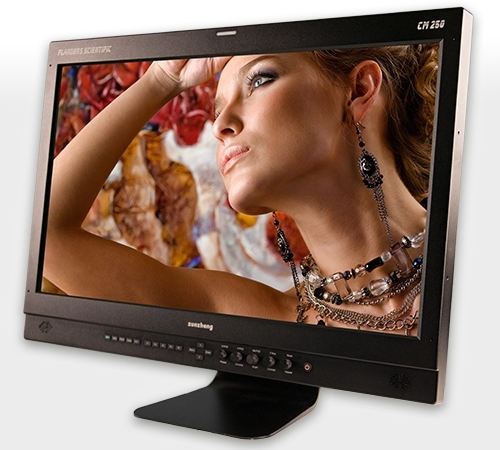 All FSI monitors come standard with 14 On-Screen Scopes. Up to two types of Scopes can be displayed simultaneously and can be toggled on/off instantly with a single button press. Scope Windows can be displayed in any of 6 onscreen locations and the two scope windows can be stacked on top of each other or sit side by side for maximum flexibility. FSI is also one of the few companies to provide this scope functionality across all inputs, even DVI. This means that full scope functionality is possible while using many of today’s most popular HD-DSLR cameras that only offer HDMI output. The CM250 is equipped with 3Gbps SDI (SMPTE 425M-AB) & Dual-Link SDI (SMPTE 372M) inputs, which provide support for advanced formats including 4:4:4 RGB, 4:4:4 YCbCr, and 4:4:4 XYZ signals. With support of both Level A and Level B 3Gbps SDI the CM250 is compatible with virtually all 3Gbps SDI sources and provides many advanced viewing modes for multiplexed (2x SMPTE 292M). 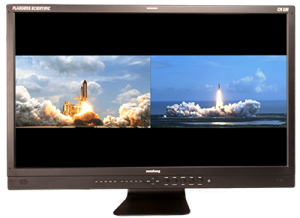 The Flanders Scientific CM250 is a 24.5” Multi-Format OLED reference monitor with 3G/Dual-Link/HD/SD-SDI, Component, Composite, & DVI-I Inputs. 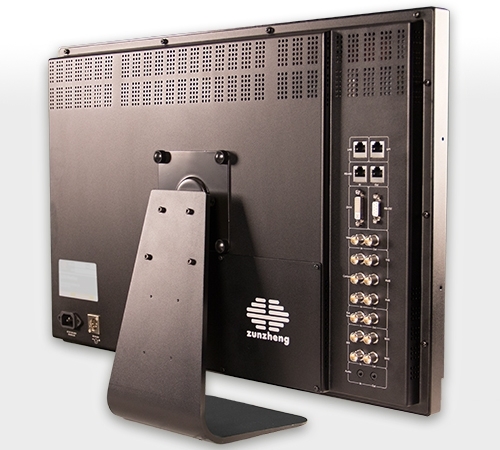 As a flagship CM series monitor the CM250 delivers the highest level of performance available within the FSI product lineup. 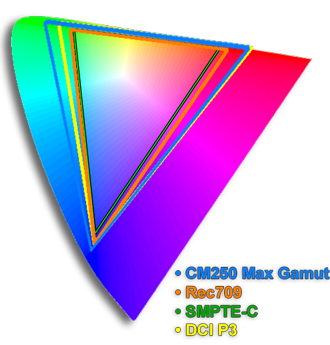 This unit features full 12-bit video processing and a 10-bit OLED panel capable of reproducing over 1.073 billion colors on screen. The CM250 offers support for virtually any signal format from NTSC/PAL to HD and 2K, including advanced 12-bit, 4:4:4, and XYZ signal formats. 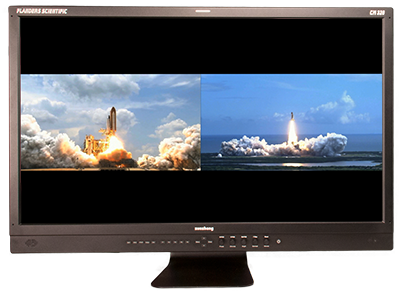 This monitor was purpose built for color critical evaluation in the most demanding applications within postproduction, broadcast, and on-set monitoring environments. This unit features many broadcast monitor basics like a Blue Only Mode, Monochrome Mode, Markers, Safety Areas, H/V Delay, and Tally Lights. Like all Flanders Scientific monitors the CM250 also comes standard with advanced features like 14 Selectable Scopes, Focus Assist, Time Code Display, Audio Disembedding, Audio Level Meters, Artifact Free Pixel Zoom, Adjustable Exposure Check, On-screen Alarms, and Advanced Pixel Level Measurement. This unit also provides additional advanced capabilities including live side-by-side monitoring of 2 inputs and dual LUT import capabilities (both DIT LUTs and calibration LUTs).